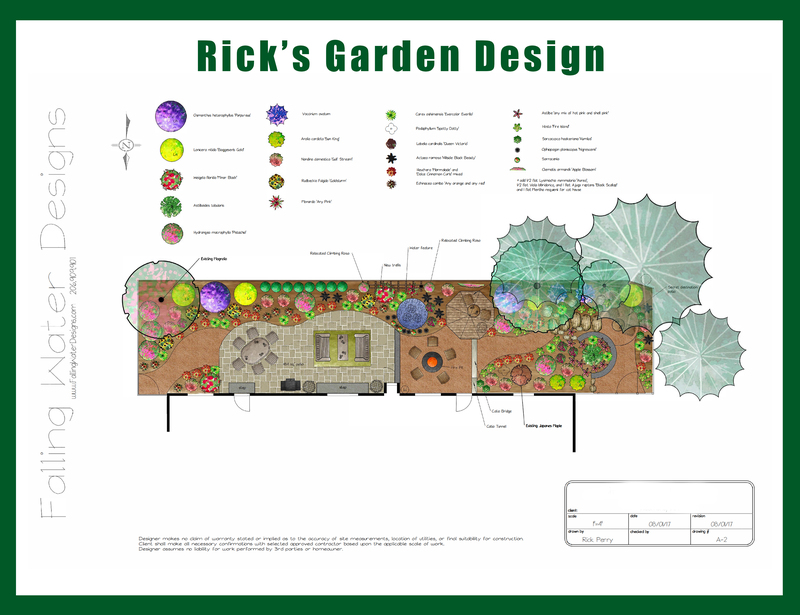 Check out Rick’s latest garden design projects below. Project 1: We did a garden design for a customer last year. He was happy with us so he recommended us to his parents. Their garden design included a new patio, a secondary “secret” destination patio, new plants, lighting, and a first for us; a “Catio”. A “Catio” is an enclosed safe play space for cats. The design includes an enclosed widow box so the customers can watch their cats play outside the office window. There is also a cat tunnel along the outside of the house and a bridge across the garden over to a gazebo that will be enclosed with screening and the floor will be Corsican mint which cats love. Project 2: These are repeat customers who are building their retirement home on Fox Island. It is a new construction home on what was a vacant lot. 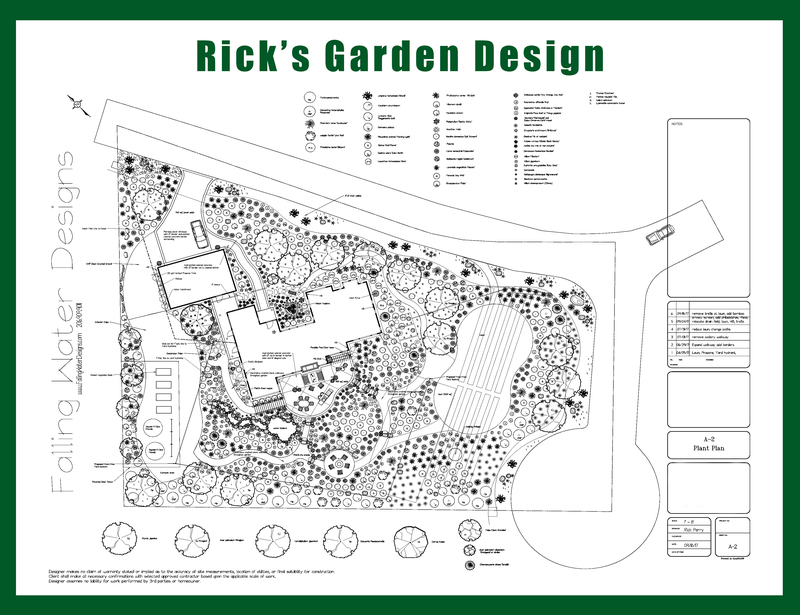 This design includes 500 yards of soil, 26 new trees, over 1100 plants, two water features, pathways, lawn, a vegetable garden, a destination patio, a fire pit and lighting throughout. We have just begun the installation of this garden and will post pictures of the finished garden when it is completed. If you’ve got a project you’ve been wanting to do or a design created contact Falling Water Designs!